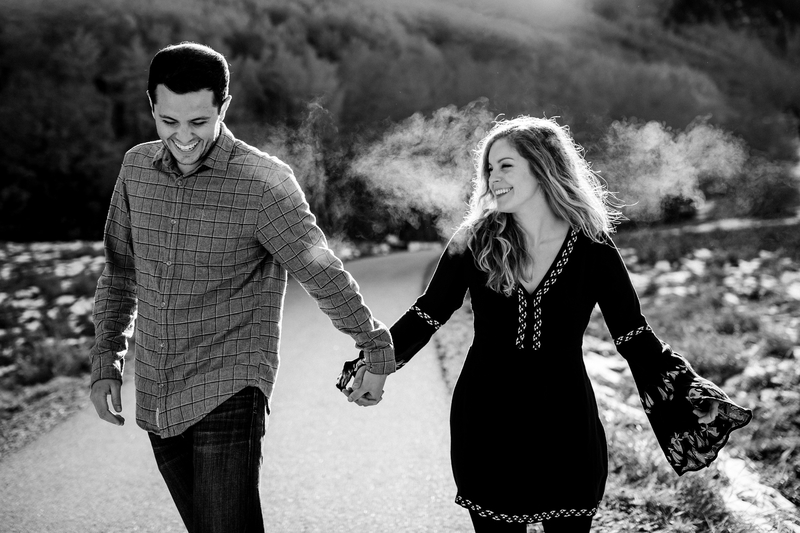 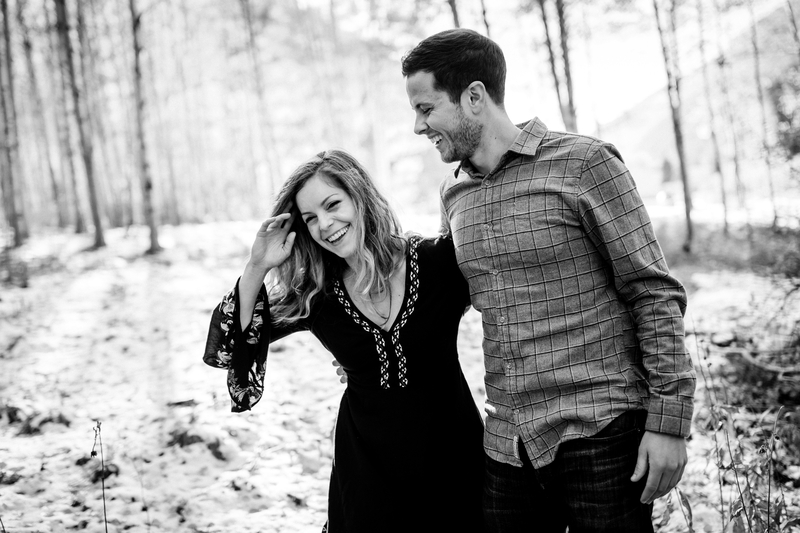 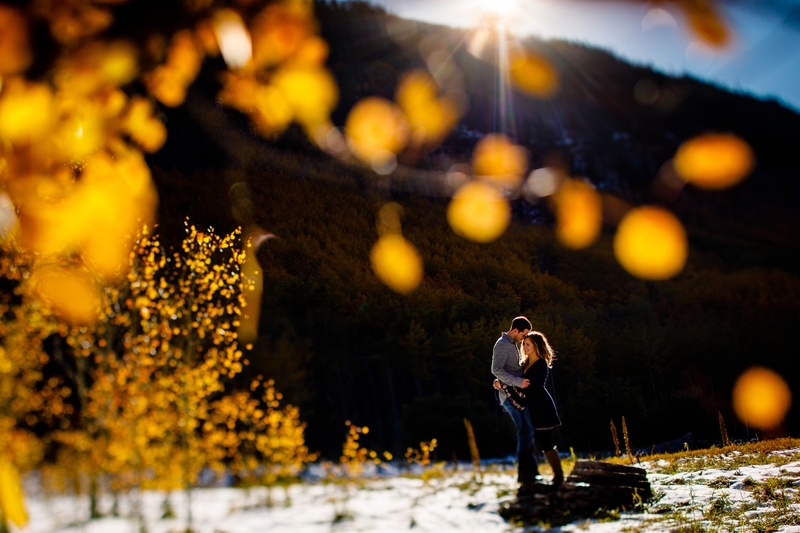 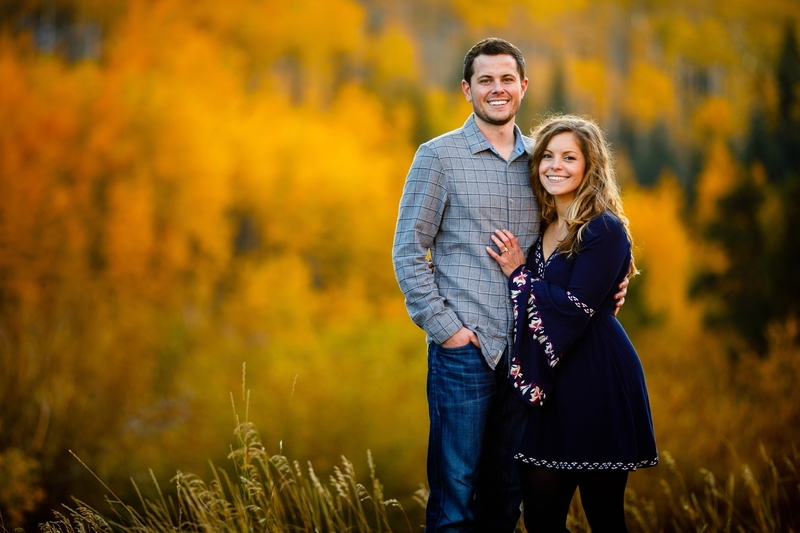 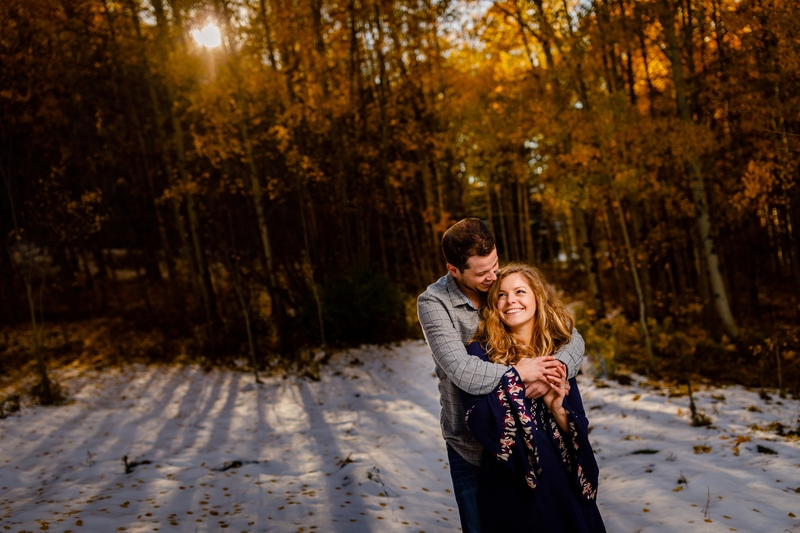 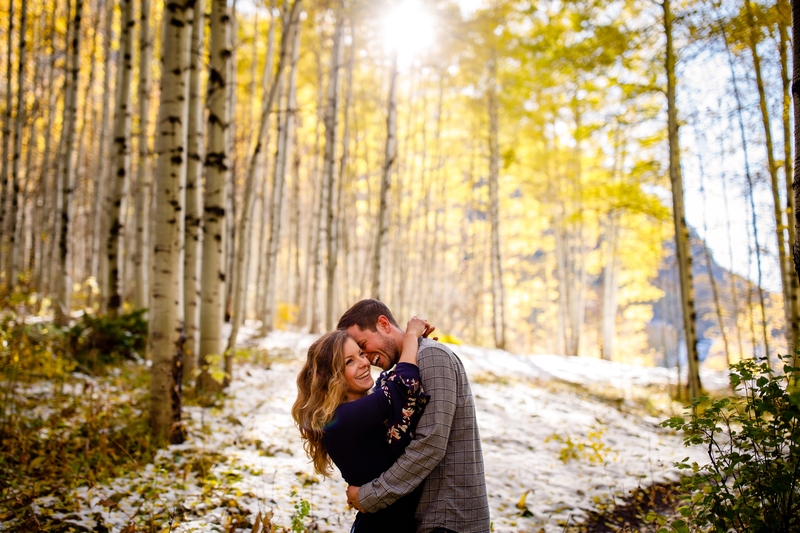 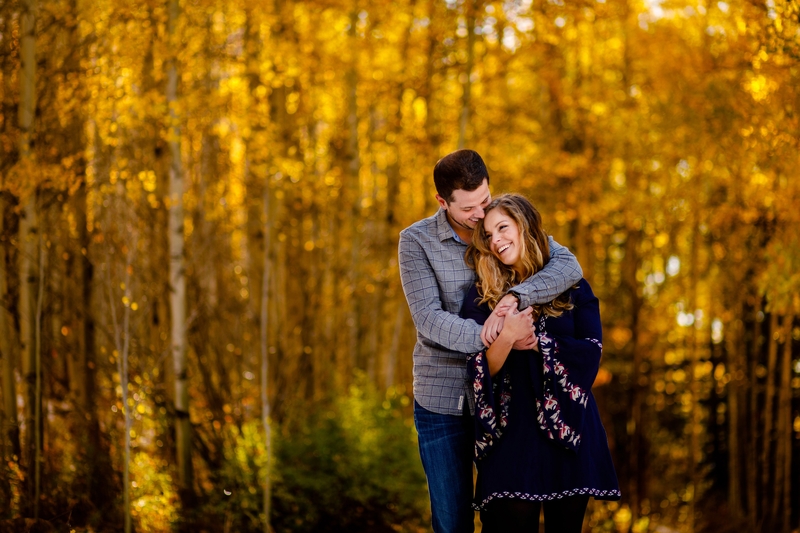 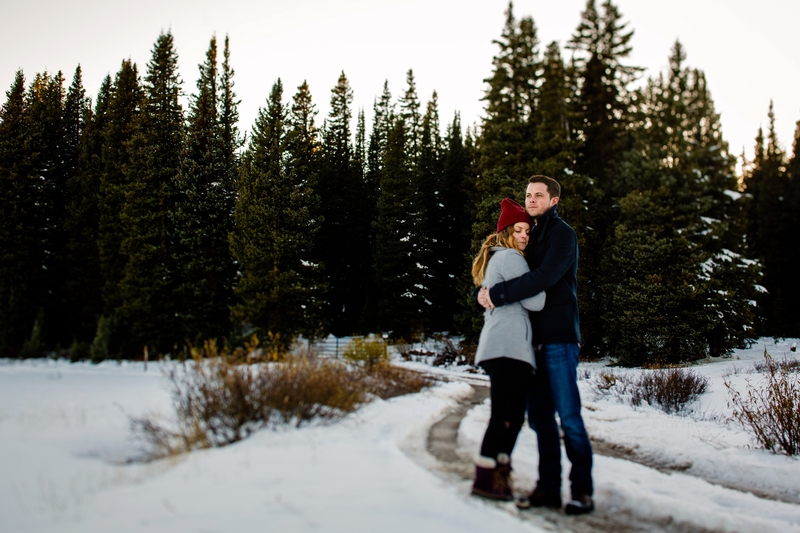 Fall is often a busy season for engagement session but with early snow storms it was a sorter than normal. 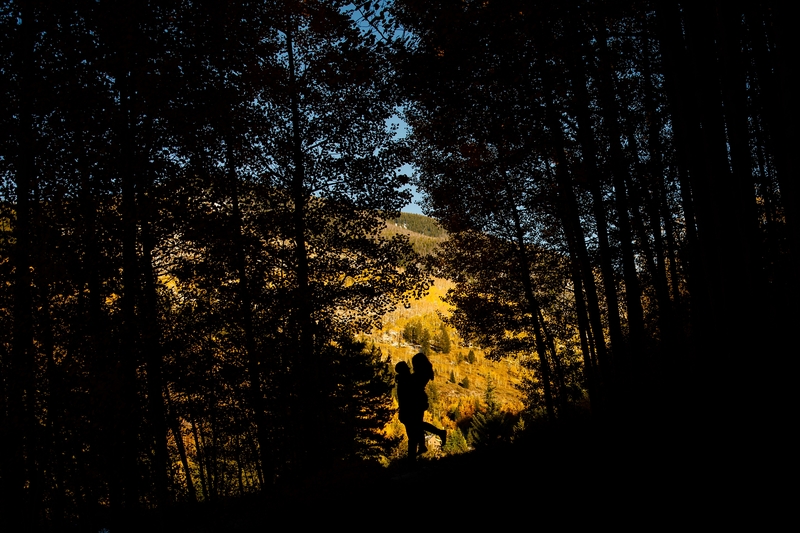 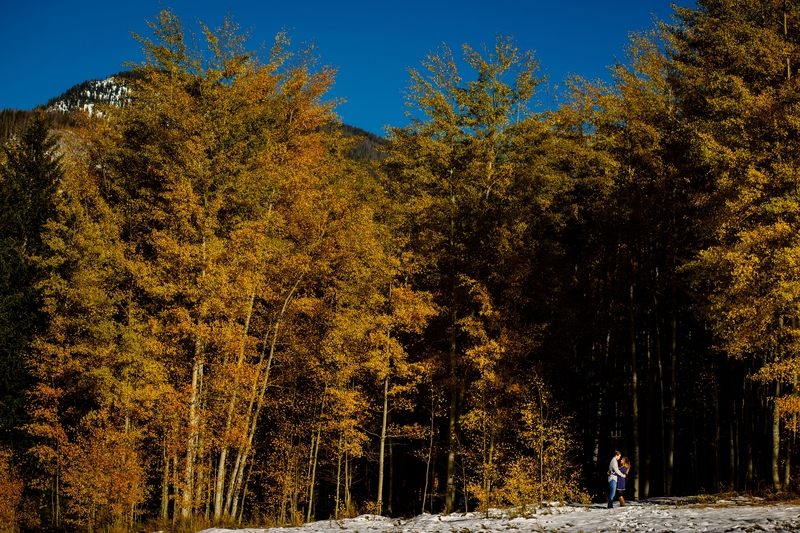 We had to stomp through some snow to get to one of the last golden aspen groves in Vail. 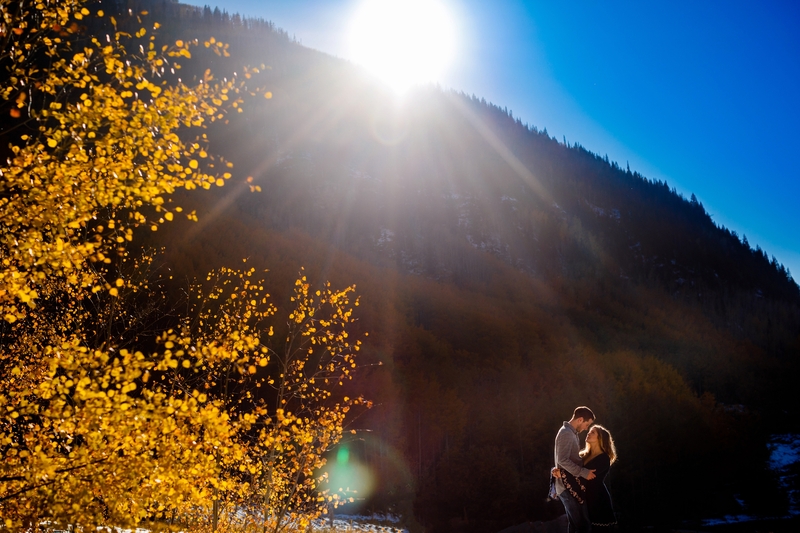 It ended up being a blue bird day with beautiful light but don’t let these warm gold colors fool you as it was cold. 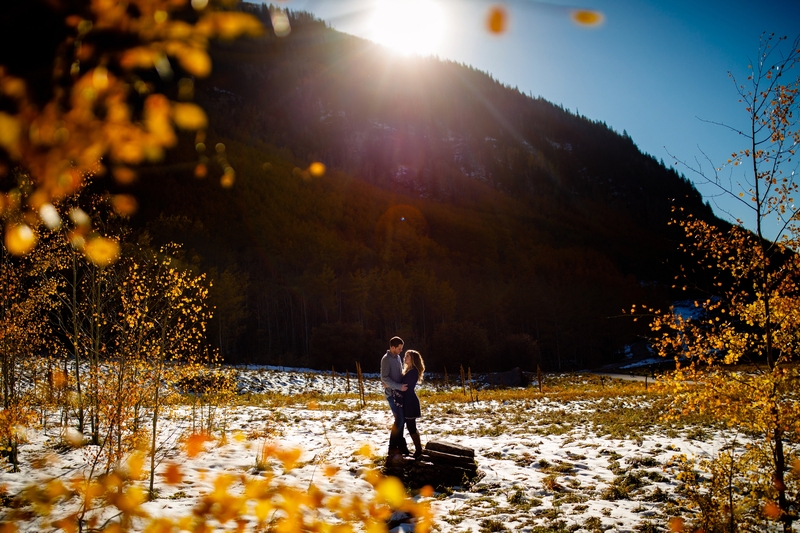 Mike & Valentina were all for making the long treck back to find some color and rocked their fall engagement session on Vail Pass. 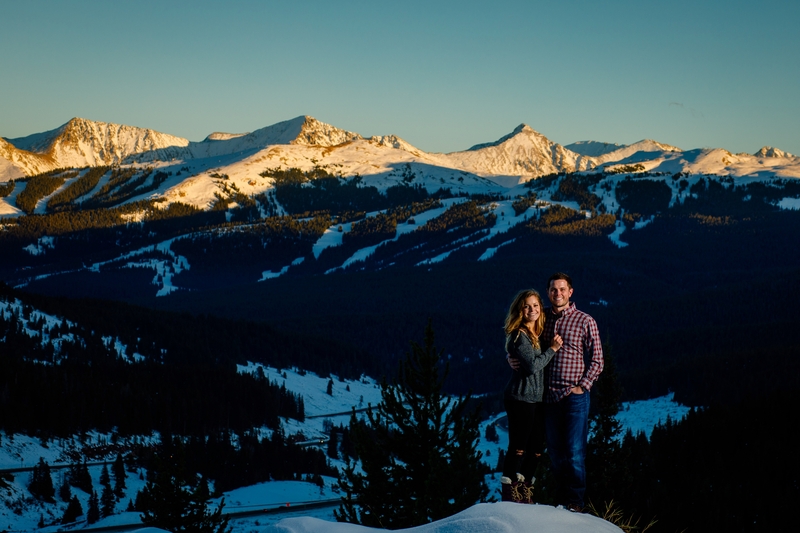 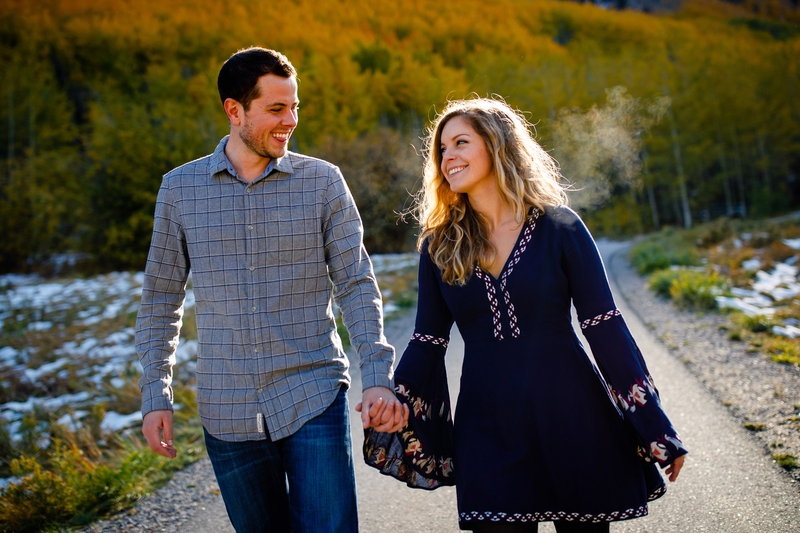 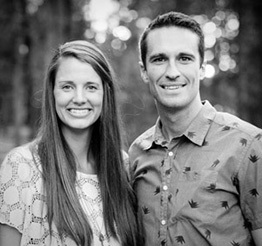 We enjoyed getting to know Mike & Valentina during our time with them and cannot wait to document their wedding next year in Vail.